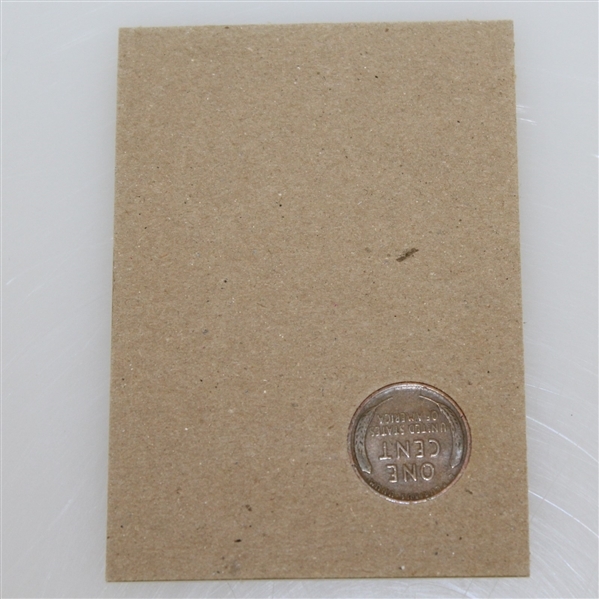 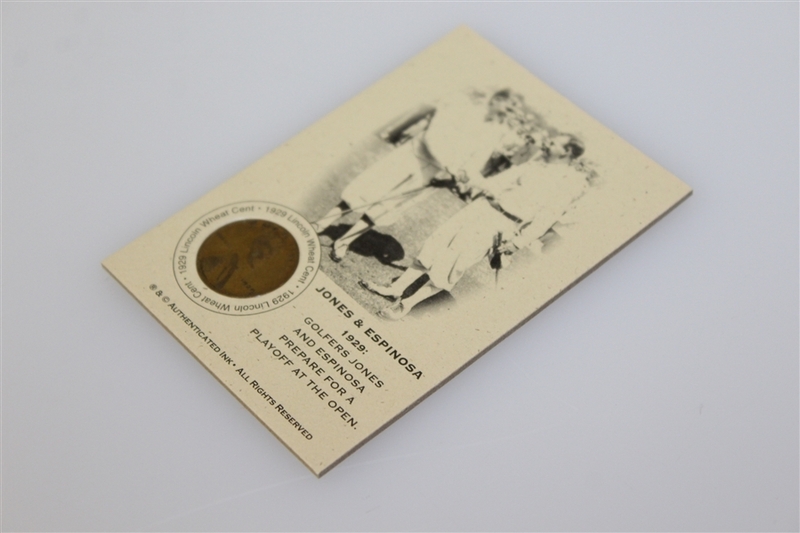 Offered here is a 1929 Lincoln Wheat Penny card featuring Bobby Jones and Al Espinosa. 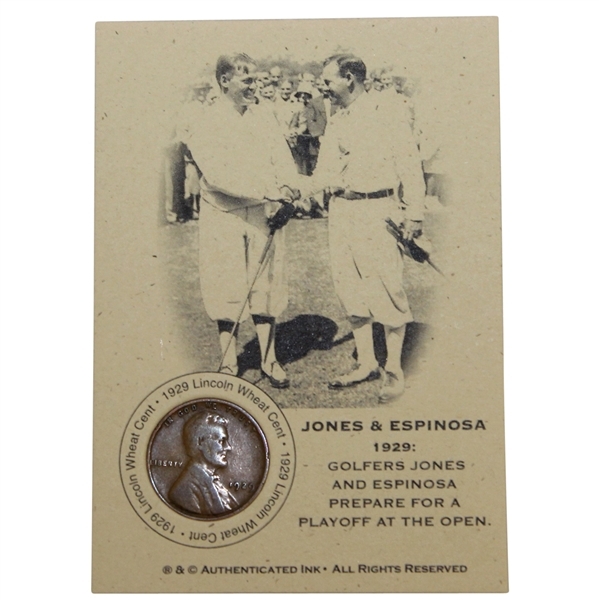 The card commemorates the pair preparing for a playoff. It took a 36-hole playoff for Bobby Jones to claim his 3rd US Open title in 1929 at Winged Foot, though he did so convincingly by 23 strokes over Al Espinosa.